“The third characteristic then of the obedience of Christ is that it was tried by suffering and humiliations. 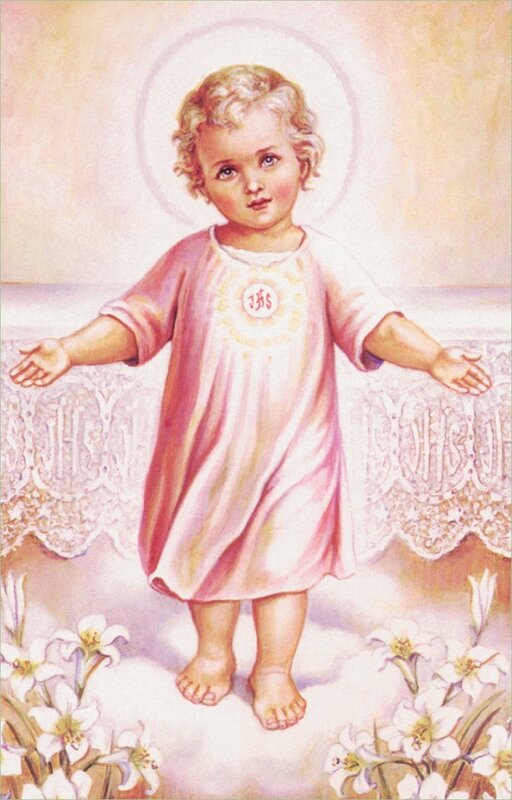 To accomplish the Will of His heavenly Father, the Infant Christ, with the full use of every faculty, consented to be enclosed for nine months in the dark prison of His Mother’s womb. Other infants feel not this privation as they have not the use of reason, but Christ had the use of reason and must have dreaded the confinement in the narrow womb, even of her whom He had chosen to be His Mother. “Consider the painful life that Jesus Christ led in the womb of his Mother, and the long‑confined and dark imprisonment that he suffered there for nine months. Other infants are indeed in the same state; but they do not feel the miseries of it, because they do not know them. 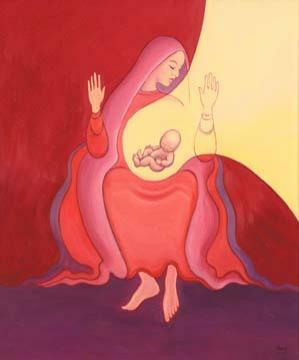 But Jesus knew them well, because from the first moment of his life he had the perfect use of reason….The womb of Mary was therefore, to our Redeemer a voluntary prison, because it was a prison of love. But it was also not an unjust prison: he was indeed innocent himself, but he had offered himself to pay our debts and to satisfy for our crimes. It was therefore only reasonable for the divine justice to keep him thus imprisoned, and so begin to exact from him the due satisfaction. 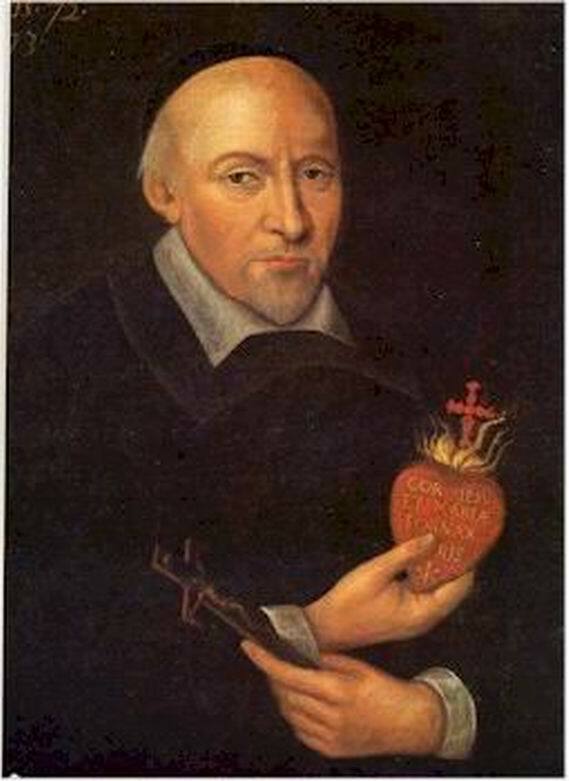 “He was filled with compassion for all the miseries of creation, and this never left Him henceforward; and most of all did He feel for sin, the greatest and the truest of our miseries, and He distinctly and separately pitied the sins of each one of us in particular. 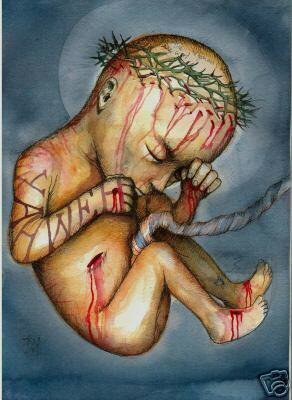 When I think of Christ suffering in the womb for our sins it gives me great hope. Hope that He has obtained for us a special grace during His time of suffering in the womb – a grace that will enable us to overcome abortion in our time. Here is how most people celebrate their birthdays! You may have never heard of St. Juliana of Cornillon (Juliana of Liege), 1192 -1258. She was an Augustinian nun who was the first promoter of a feast day in honor of the Blessed Sacrament. In his November 17, 2010 audience Pope Benedict spoke eloquently about St. Juliana. 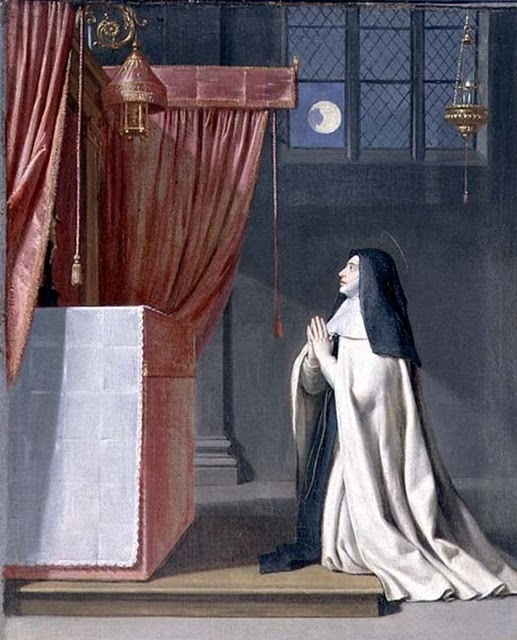 “The Pope explained how the Belgian saint “possessed great culture, … and a profound sense of the presence of Christ, which she experienced particularly intensely in the Sacrament of the Eucharist”. At the age of sixteen she had a vision which convinced her of the need to establish a liturgical feast for Corpus Christi “in which believers would be able to adore the Eucharist so as to augment their faith, increase the practice of virtue and mend the wrongs done to the Blessed Sacrament”, said the Holy Father. Click here to read more. What many people don’t know is that she also had a profound devotion to Christ in His Blessed Mother’s womb. Here is an excerpt from a book about her life written in 1873 detailing this devotion. “She had also a great devotion for the feasts of our Lady, but of all her feasts, the one she celebrated with most ardent devotion and piety was the feast of the Annunciation. 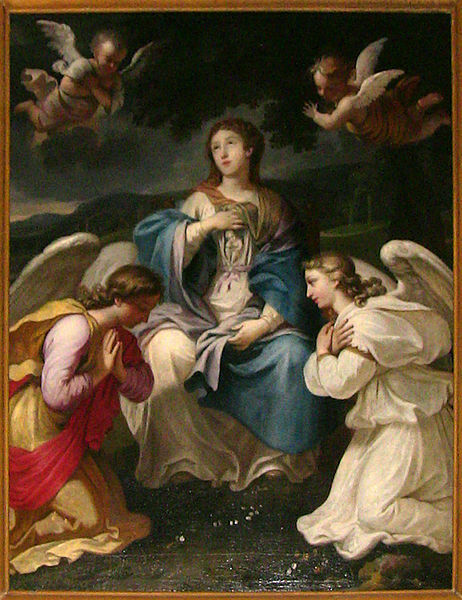 It seemed as if she could never cease from meditating upon and admiring the celestial simplicity of the words of the angel Gabriel; the trouble that his salutation at first gave to Mary, the consent that she gave to become the Mother of God, the profound humility, the more than angelic modesty, and the ardent love, our Blessed Lady displayed upon this occasion. 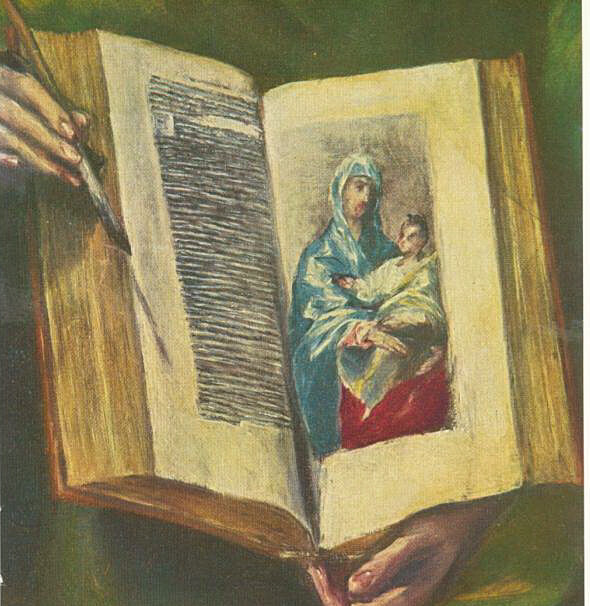 A devotion that she frequently recommended to the other religious, was to recite the ” Ave Maria,” and the canticle ” Magnificat,” nine times every day, in honour of the nine months our Lord dwelt in the womb of His ever Blessed Mother; and she assured them that she was indebted to the practice of this devotion for many favours and graces she had obtained from heaven. 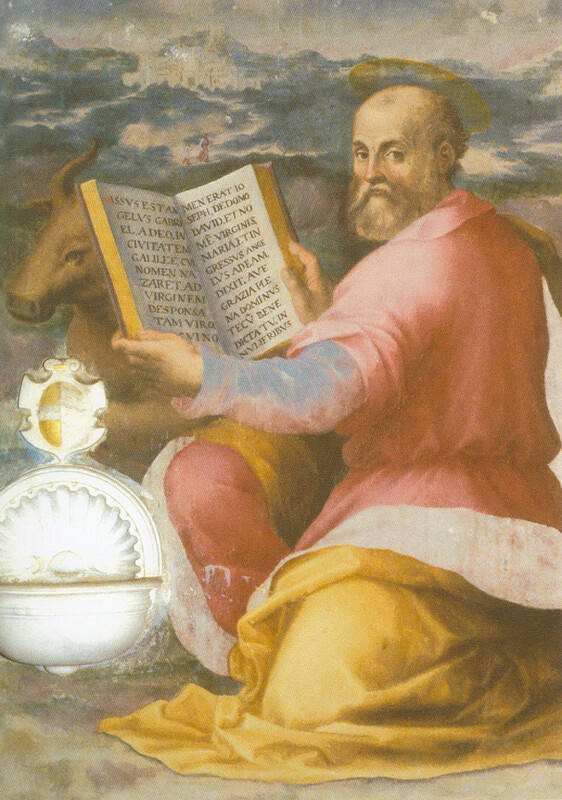 October 18 is the feast day of St. Luke. In chapters One and Two of the Gospel of St. Luke we have 127 verses of narrative concerning the infancy and childhood of Jesus Christ and mysteries surrounding His infancy (Lk 1:5 – 2:52). These verses are unique to Luke and outline the earliest vignettes known about the childhood of Jesus Christ. The verses restricted to the infancy period are slightly less: 114 verses (Lk 1:5 – Lk 2:39). We are indebted to Luke in a thousand ways, but especially for the first two chapters of his Gospel which are in a way a “prologue”, comparable to the famous “Prologue” to the Gospel of John (Jn 1:1-18): “In the beginning was the Word, and the Word was with God…” But while the Prologue of John is about Mysteries and realities concerning the Word Incarnate, this “prologue” of Luke’s is focused on biological and historical events which reveal the Child Incarnate. While John is mystical, Luke is highly personal yet supernatural. All of this is to say that, the Incarnation Mystery of faith is so wondrous, that we need both Luke and John to unfold for us its beauty and reality. We can listen to John’s Prologue and see it with the eyes of the heart, but Luke’s we visualize all in fabulous images. But it is only Luke who reveals to us the babyhood of Jesus and the attendant mysteries thereto. Luke is one of the Church’s great “Pro – Life” saints! There is no way around it. 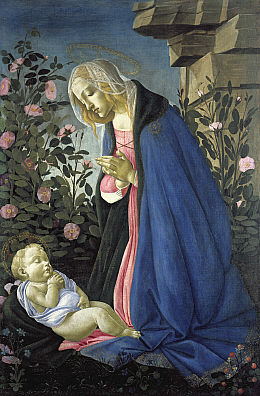 He alone tells of the conception of Jesus Christ, paints for us the tender mother who opens up her heart and soul to God’s plan and Spirit, then recounts the mysterious encounter between pregnant mothers and unborn children and finally recounts in all its poverty and glory the birth of humankind’s Savior in a manger. St. Luke we thank you for the little details you carefully recorded about our Savior’s first nine months in the womb and then in the manger. You, St. Luke, have brought more tears of joy to human eyes than any other author in human history. You have revealed to us the mother of the baby Jesus and have transported us in our thoughts to kneel beside the beasts and shepherds, beneath the angels’ meditative gaze. It was first your descriptive words which gave rise to those Christmas hymns we sing now that cause our hearts to bow down in adoration again. St. Luke, when we see you in heaven, we will get in that very long reception line of pro-life Christians who want to shake your hand, the hand which wrote down the sacred events of our Savior’s babyhood, events which gave us hope for all our earthly days.